WE TOOK OUR SECRETS STRAIGHT FROM THE OLD COUNTRY. THAT MIGHT EXPLAIN THE BATTLE OF THE GLEN. 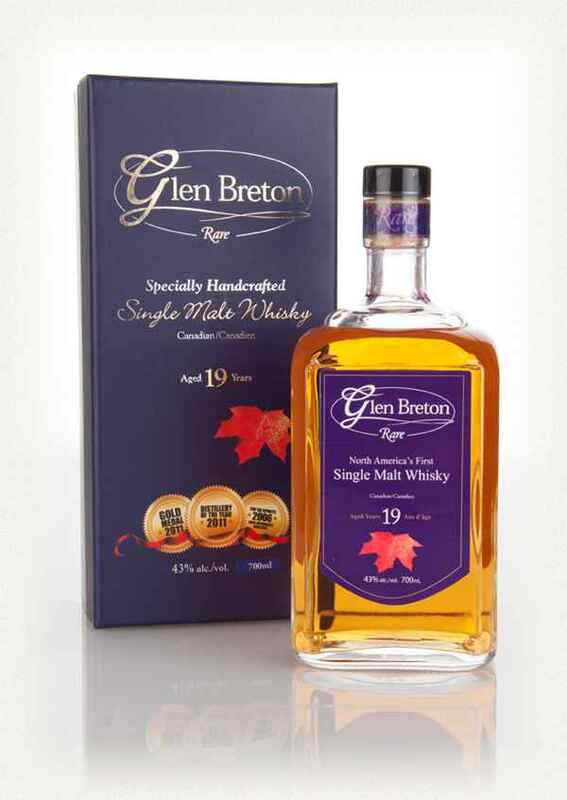 Glen Breton Rare 8 Year Old was our first single malt whisky and it was the first single malt whisky produced in North America. 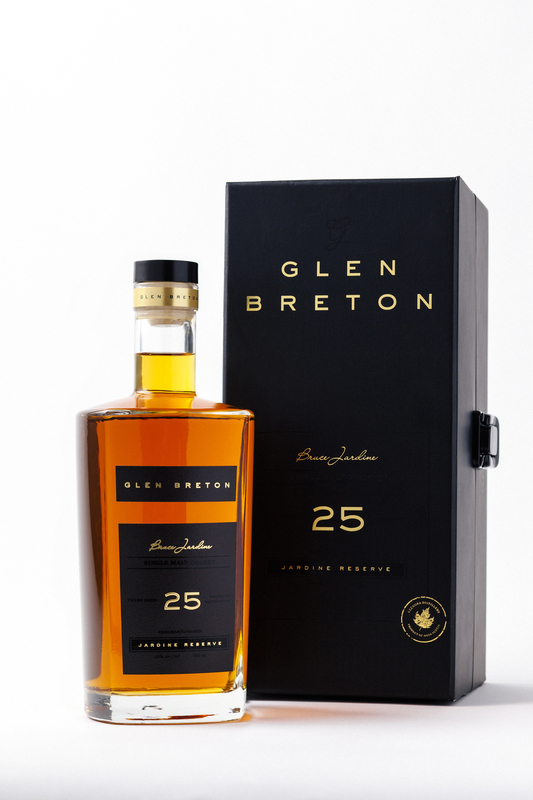 It sold out not long after hitting the shelves in 2000, and since then we’ve introduced many product offerings, including but not limited to our flagship products: Glen Breton Rare 10 Year, 14 Year, 19 Year, 21 Year, 25 Year and the first single malt finished in ice wine barrels. Our signature single malt product. 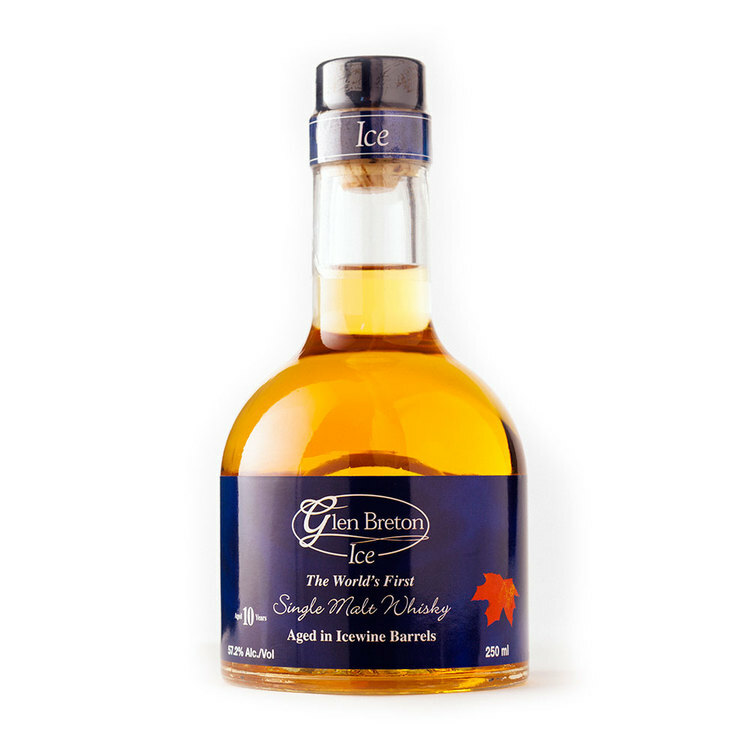 Aged for 10 years with American Oak in the apple orchard of the Glenora Distillery. Our 14-Year-Old has suggestions of almond, vanilla and oak, with a hint of lightly baked coconut on the nose. Smooth and malty with just the slightest touch of sweetness and a dash of orange citrus, this is a light and flavourful dram. Finish – With a rich and almost lubricious mouth feel, the malt withdraws into heat, resolving into the warm caress of an enduring companion. The peat character is very subtle, tasting like wisps of hardwood smoke and evoking memories of autumn leaves. Finish: Bursts with Flavour Development , Apple, toffee, Vanilla and Butterscotch. Two hand-blown crystal tasting glasses made by Nova Scotian Crystal, housed in a stunning case of wood, glass & leather. All hand crafted in Nova Scotia. A pure silver bar with the bottle number engraved for posterity by Citadel Coins N.S, embedded in the special wood case by local artist Jonathan Otter. An exceptionally smooth malt with vibrant finishes. 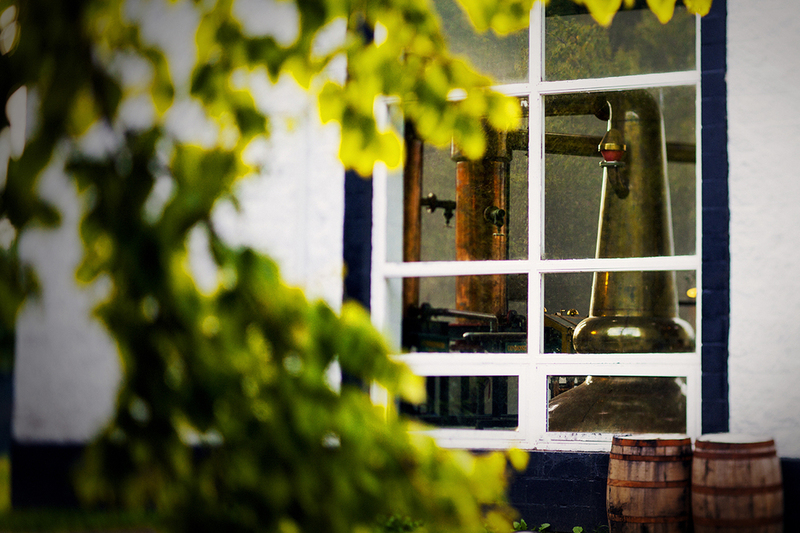 Flavours are imparted by the forest of maple, apple and spruce trees found near MacLellan’s Brook. Having reached this momentous milestone of 25 years, Glenora felt it necessary to honour Bruce Jardine, the original founder of Glenora. Bruce Jardine passed away in 1999 before the release of his dream – a single malt whisky produced in Cape Breton. The team at Glenora is proud to continue Bruce’s dream and has released a very limited bottling of single malt whisky that Bruce himself helped to distill in the fall of 1990. It is a superb dram that honours not only the memory of Bruce Jardine and his family, but also the dream that is Glenora Distillery. One of our fans suggested we experiment with the award winning Nova Scotia winery Jost Vineyards, requesting to use one of their oak barrels. Jost Vineyards agreed, and supplied us with the barrel used to make their Ortega Ice Wine. We decided to use it for finishing one of our cask strength whiskies. Ice Wine is powerful in its own unique way, which is why Glenora tasted the whisky each day as it picked up trace hints of sweetness and fruit from the Ortega Ice Wine grapes. After 4 months we felt the ideal finish was achieved, leaving us with a truly unique whisky. Palate - ice wine taste first, now whisky, sharp on tongue due to cask strength.